Introducing the next generation of dry shampoo. Instantly refreshes style, increasing volume and hold. Receive a FREE Sebastian Professional Limited Edition Shaper Fierce when you buy 2 or more products! Provoke inspiration with these gifts and packs, the ideal gift solution to those living on the edge of fashion. 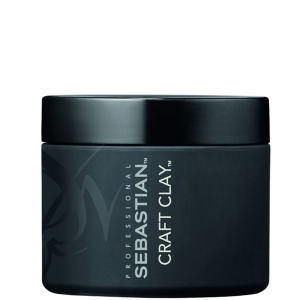 Available to buy online at Lookfantastic now, Sebastian Professional hair care products blow the lid off creativity with their extensive range that has been impressing customers and professionals alike for for over three decades. A truly innovative range of products that contains everything from shampoos and conditioners to styling products and texturisers, Lookfantastic are proud to be official stockists as well as offering free worldwide delivery. Working to boost your hair and offer fuller volume, Sebastian Professional's Volupt range includes a volumising shampoo and conditioner as well as the expert Volupt Spray. Utilising cushion particle technology to give your hair full on volume, this range will also leave your hair with a sensual softness. Boasting an active rescue system that, as the name suggests, penetrates the hair, Sebastian Professional Penetraitt's range offers the ultimate in repairing and reconstructing to give your hair its natural health back as well as retaining a super-strong yet silky soft style. With an expert shampoo and conditioner within the range as well as a Repair Masque, this collection is essential for damaged hair and will work to guard it from stress caused by past chemical treatments as well as ongoing heat damage. Shop a complete range of Sebastian Professional products now on Lookfantastic with free worldwide delivery.